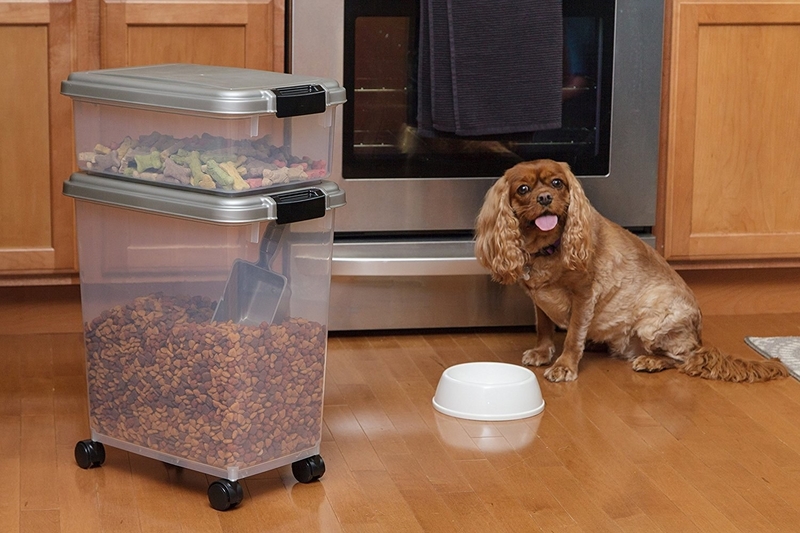 Whether you've got a dog, cat, or feathery friends to feed, this three-piece airtight storage combo will keep pests away and provide an easy way to organize and dispense pet food — you'll wonder how you ever lived without it, tbh. I live to make my dog happy. If you have a dog, I’m guessing you do too (unless, perhaps, you’re a monster). At 50 pounds, he’s a sizable pup, and I feed him a mix of bagged and homemade food. So that means a big ol’ 25-pound bag of food can usually last upwards of two months. 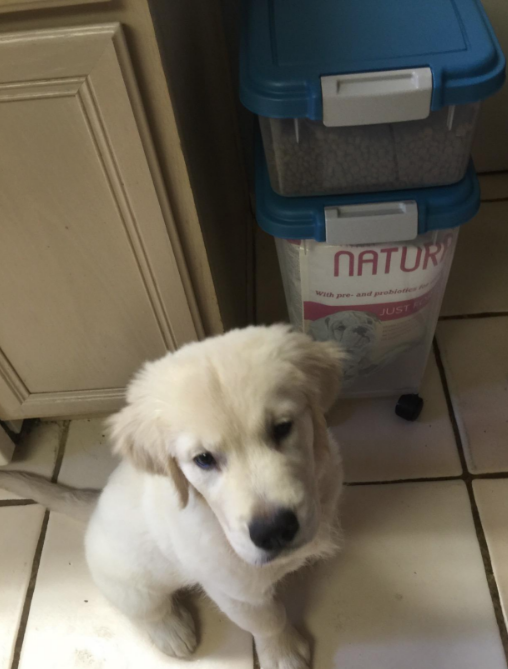 Retrieving food from said bag to fill his bowl with can get messy, and I've wound up with bits of kibble on my kitchen closet's floor at least a few times a week. More importantly, the bags aren’t resealable, so once summer rolls around, I worry that his food might attract all sorts of unwelcome pests and get soggy from the often-unbearable New York humidity. And no one’s dog deserves a bowl of subpar grub filled with creepy crawlers. Enter this three-piece airtight storage combo, which has made doggo meal time 100% stress-free since I bought it nearly two years ago. 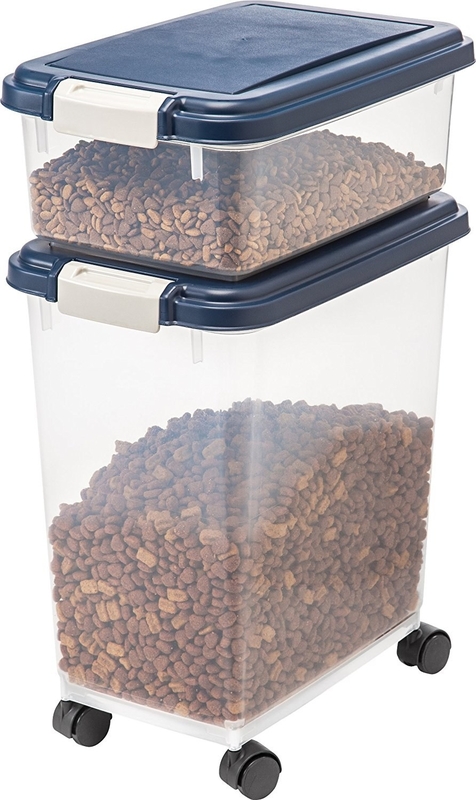 With a 33-quart capacity, the deceivingly spacious big container fits the contents of the entire 25-pound bag, and the smaller container is perfect for storing treats or any other pet supplies you might want to protect from the elements and vermin. It also comes with a handy food scoop, conveniently marked to indicate ½ cup through 2 cups, in ½-cup increments, so you're not just winging it and can feed your pup the precise amount they require — and essential for doggos on a diet. The BPA-free plastic set is narrow enough to fit in even the smallest of closets, and if there isn’t a closet available, its simple, unassuming design — and availability in 13 colors — makes it easy to match any room décor without looking out of place. 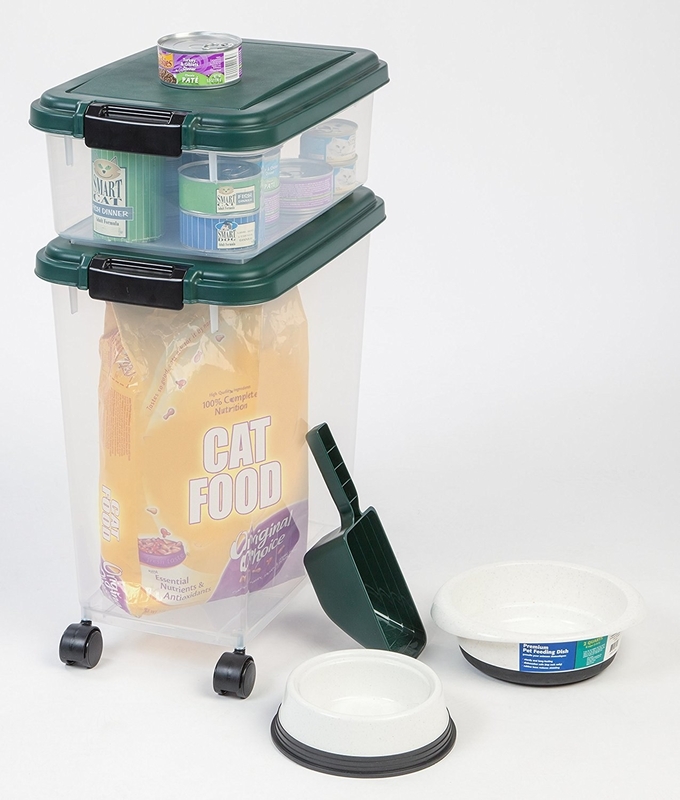 The large container has 360-degree wheels for convenient access, but you can you can opt to leave the wheels off if you'd prefer a stationary storage container. It’s also a customer favorite on Amazon — so if you don’t trust me on this one, trust the thousands of five-star reviews to back me up. Fresh food = happy pup = happy you. I mean, just look at Bailey! 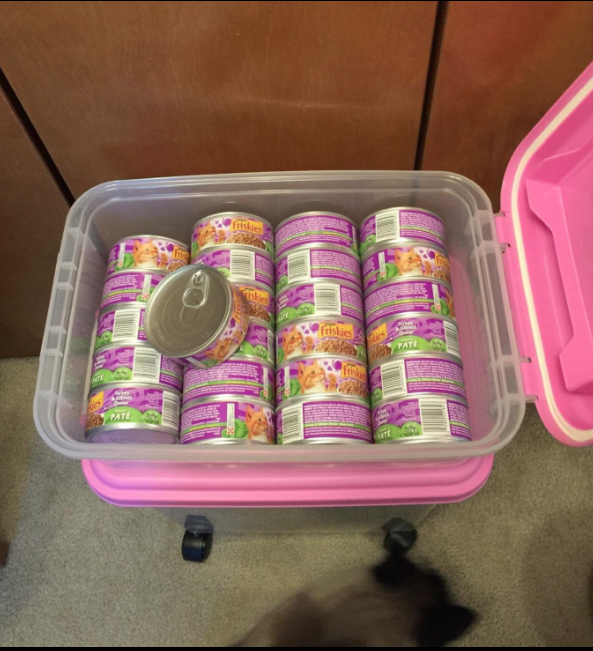 "This food storage container arrived deconstructed with the small box in the larger box and the wheels in a separate baggy but was super easy to assemble! Took less than two minutes as you just have to pop the wheels in. We washed it before putting food in it but it didn't have a strong plastic smell or anything like that. 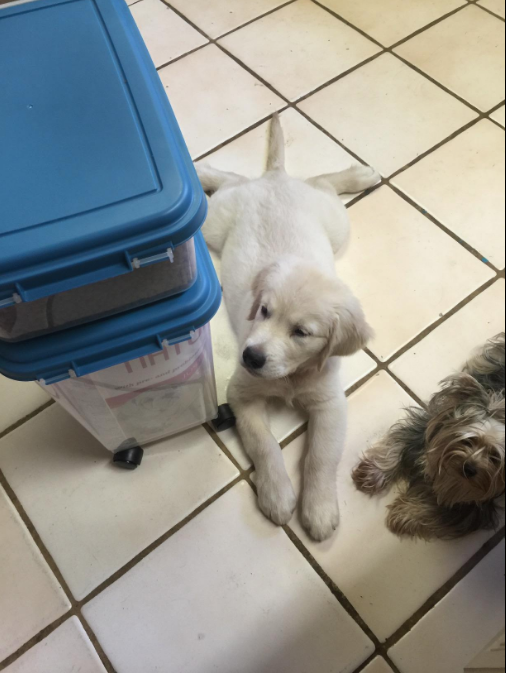 We got our pet's name in a vinyl decal, which was the perfect touch!" 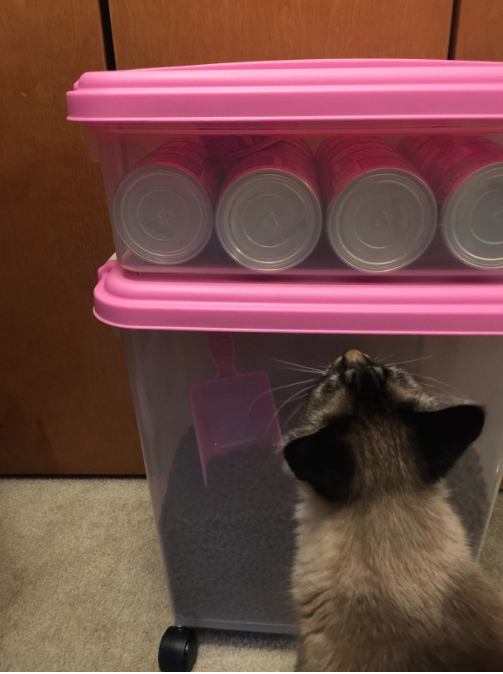 —Ashley M.
The smaller bin is also the perfect size for storing canned food, with the set adored by cat parents (and, apparently, cats themselves) as well. Got birds to feed? Yeah, it's got you covered for that too. Original review, 5/25/13: "I use this for my wild bird seed and love it. Rodents hate it, lol." Update, 6/22/16: "I still love these containers! They have remained airtight, rodent-proof, and insect-proof (even keeping a shipment-obtained weevil infestation IN the container). 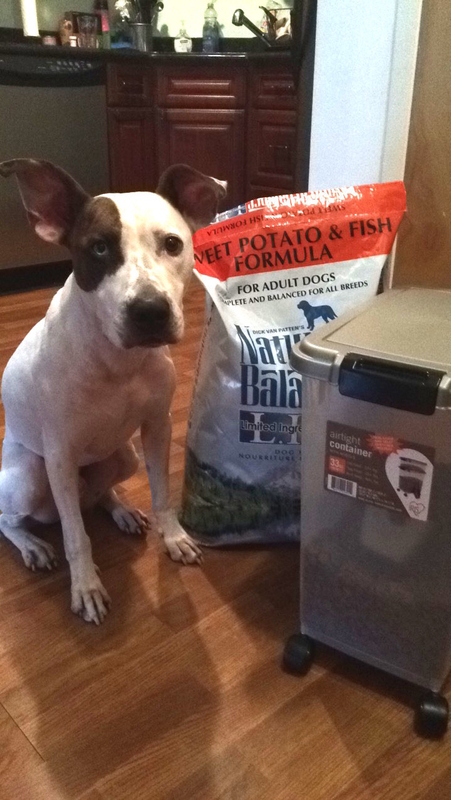 I've purchased several more for other pets in my family." —L.M.T. Just some more happy pupperinos livin' that fresh-food life!! Even destructive doggos on a mission are no match for this bad boy. No more coming home to a food strewn about the floor and a guilty lil' pup hiding in the corner. Get the three-piece set from Amazon for $18.89+ (available in nine colors). It'll make your life easier for you and food a whole lot fresher for your furry (or feathery) loved one.